On my Hair. A photo essay, sort of. My hair has been a constant source of dismay for me. I believe it started somewhere around birth. 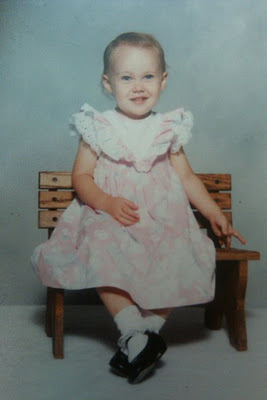 I was quite bald. Even as a toddler, people would say, “My, what a cute boy you have!” (Sort of like the Red Riding Hood – Big Bad Wolf exchange: “My, what big teeth you have.” “All the better to eat you with, my dear.” Except not exactly like that.) And finally, after a few years of this gender confusion, I grew hair, cementing my place as a female member of society. My mom knew I was going to cut my hair soon. I’d been cutting grass, the dog’s hair, paper. So one day, I came flouncing down the stairs with crooked bangs. They were completely diagonal. I’d cut them with safety scissors and then left the hair behind a chair upstairs, as though no one would ever find it. There was no fixing it, so they just had to grow out. Any mother’s worst fear is the years and years it’s going to take to grow our a small child’s bangs. It took years. It was a source of stress. When I was in first grade, my mom told me that I wasn’t allowed to have bangs again until I was 18. I went through my ugly duckling phase (era, actually – it was like a decade from awkward hell) with no discernible hair style. I really didn’t do anything to it – I don’t even think I had approached a hair dryer at this point. It just lived in a ponytail at the base of my neck. Every day. All day. There was one day where we tried curlers. Like a 50s housewife, I slept in rollers. 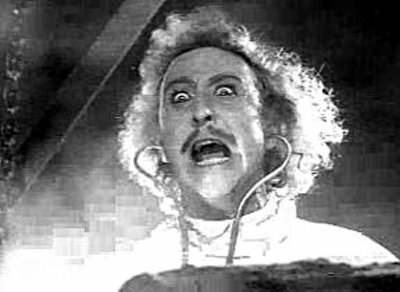 When I woke up and took them out (Mom was at work, so Dad may have had a hand in the meltdown that happened immediately after I realized I looked like young Frankenstein), I freaked. One of my worst memories of 6th grade is the day that I forgot to wash the conditioner out of my hair. All day, I was greasy and gross and miserable. I now triple rinse, without fail. In South Africa, long after the water had gone cold, I’d be under the shower head, rinsing. Triple checking that no traces of conditioner remained. (Those were interesting years. I cut my bangs myself. They were always horrifying. Short, uneven. Not really bangs. Not really side bangs. For evidence of this bad bang cutting, see my sophomore year school picture – it’s still on display at Mom’s house. Compounded with my ever-changing hair color, I was not my best self. It’s a good thing that there are still people on this planet (my friends) who value inner beauty. College. I chopped off all of my hair. I looked like a goon. (That’s not entirely true. It was actually sort of cute.) I spent the next three years in various stages of hair length, usually around my chin. Sometimes adorable, sometimes not at all. Cut to Africa. Mama P wanted me to have fringe. So I sat on one of her kitchen chairs and her daughter took shears to my hair. Full fringe. I kept that until this spring, when I grew them back out. So of course, December rolls around and what do I want to do again? (I haven’t gotten any tattoos or piercings in years, so I get the urge to do something drastic every six months or so.) Bangs. My super ego was telling me no, but my stubborn self was saying yes. So I’m back to half-bangs. But I swear, I am growing all of it out and just having hair that’s one length. 2012 is the year of less hair cut, more learning how to style the hair I have. Curling irons? I can master them. Learning to love my curly hair? I can learn that too. I have taken baby steps – I own good hair products. I am open to re-embracing hair spray. Moral of this story? Stop messing with your hair. Learn how to style it. Stay away from the scissors. Curling irons are your friend. Your natural hair color is that way for a reason. Listen to your mother, at least when she tells you to stop trying to rock bangs. She might be right. Other moral? Pick friends who will still love you when you look ridiculous. Or just make sure you pick ridiculous friends. This entry was posted in college, decisions, friends, products, vanity by kb. Bookmark the permalink.